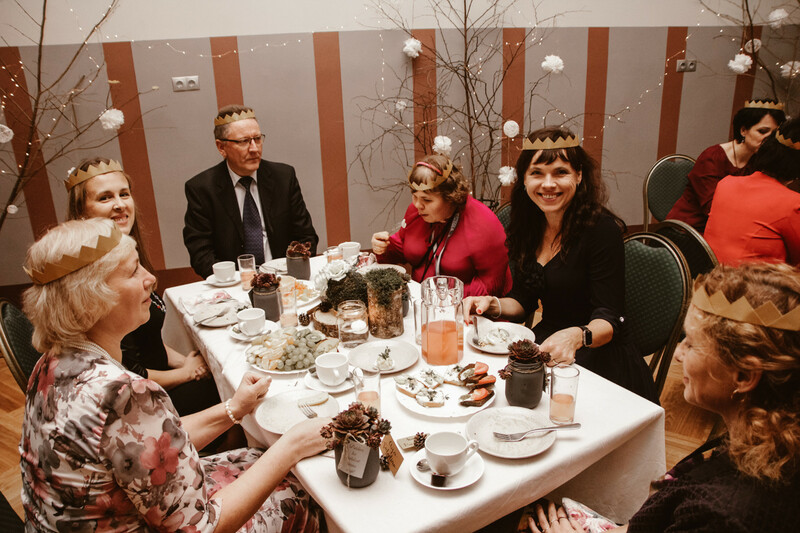 On October 13, 2017, Talsi Christian schools teachers and staff were charmed by the annual teachers day event. This years main theme was for each guest to become a king or queen. 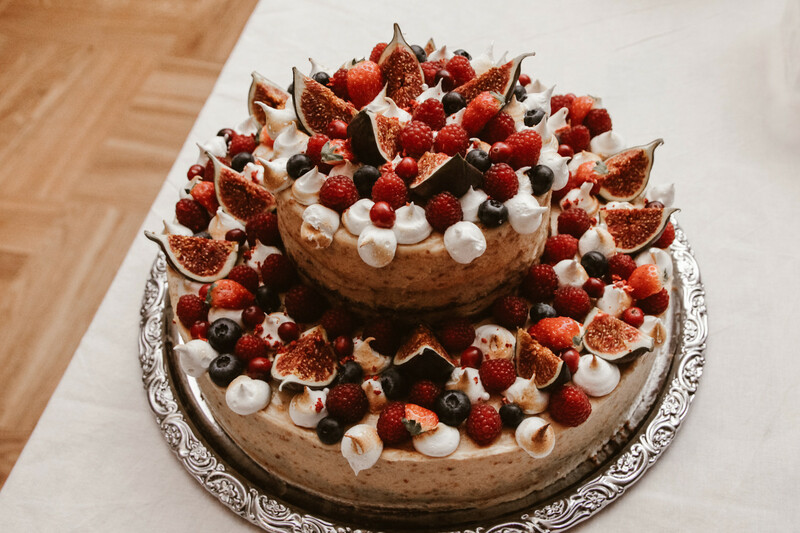 This years teachers day event was held at Dundagas palace, where the teachers and employees were greeted with ceremonially decorated court halls and lavishly prepared tables with delicious food. Many of our students served our schools staff and gave them musical performances plus fairytale related tasks. On the way to Dundagas palace, some student council members read stories to our schools staff, making them reenact the story with movements to establish a fairytale ambiance. Entering the castle to attend the royal ball, teachers and school staff performed four tasks relating to the story of Cinderella. 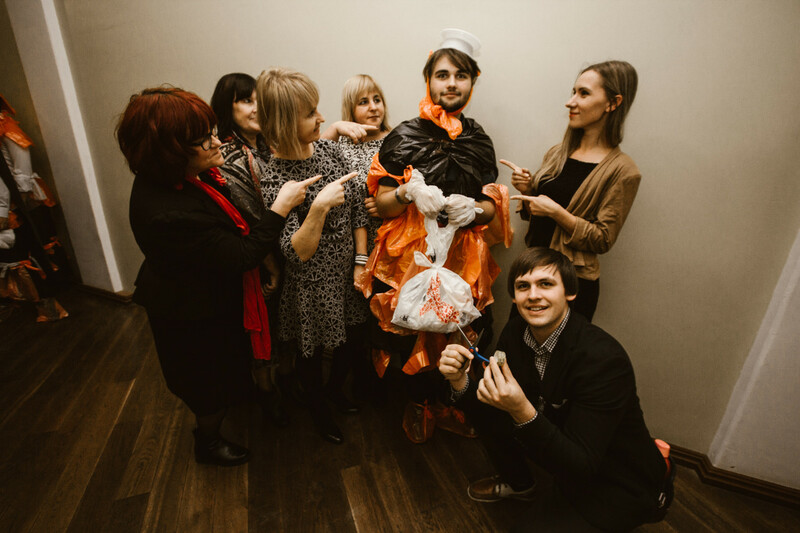 Without talking, the staff tried to find out each others shoe sizes, arranged pictures of the Cinderella fairy tale in the correct order, sorted two-colored bean piles and dressed students in plastic bags for the ball. 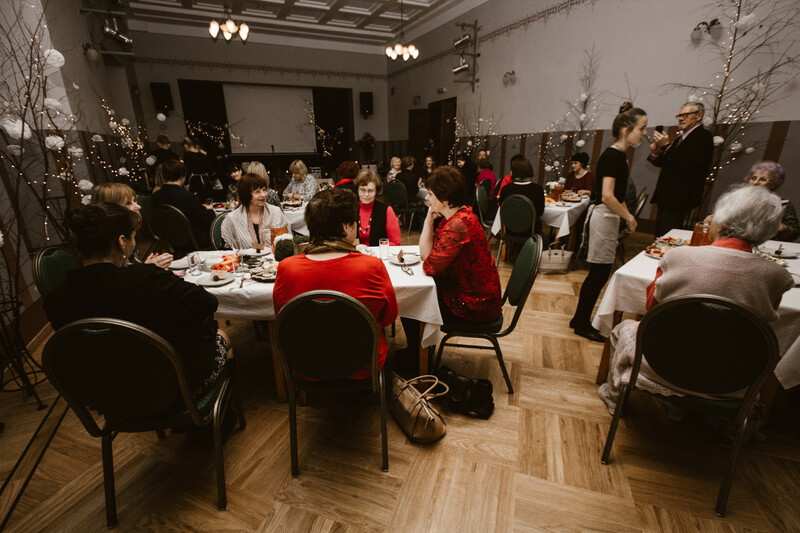 When the tasks were completed, teachers and staff alike enjoyed the meals prepared by our schools families and the ballrooms decorations by our student council, while the students regaled everyone with their musical performances. During the concert, everyone heard a story of a King and a boy, who found each other through faith. 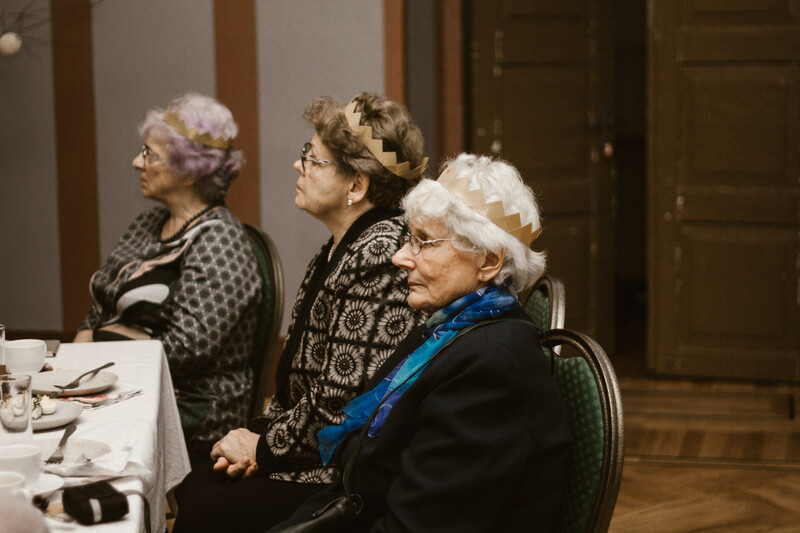 Later each staff member was given a crown as a gift with the intent that teachers are the ones who shape us for the future. After the concert, teachers and staff joined in conversation with smiles on their faces. 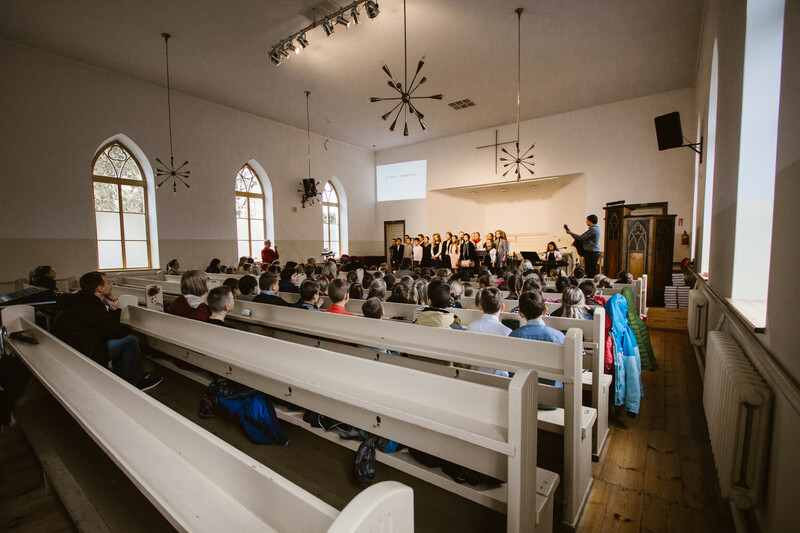 The teachers day event in Talsi Christian school has gone by pleasantly, beautifully and warm. 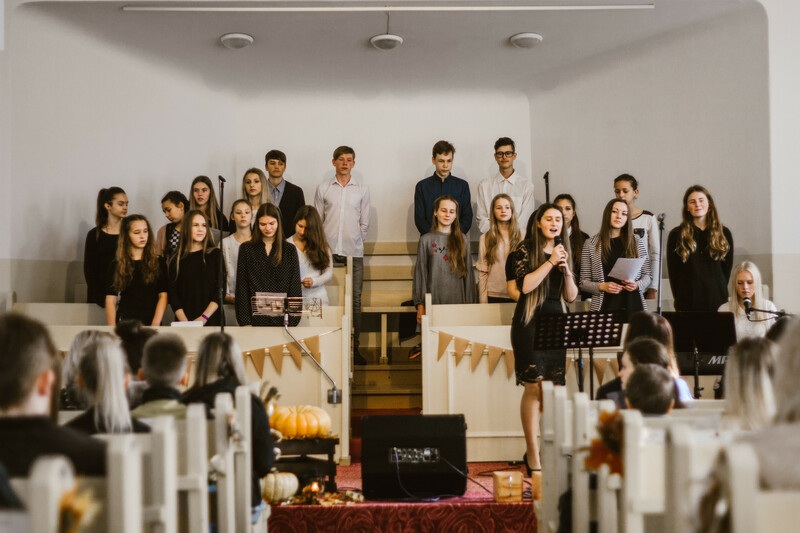 On October 6th Talsi Christian school held two harvest season services in Talsi Baptist church. Students from grades 1-5 prepared beautiful musical performances and told stories of gratitude. 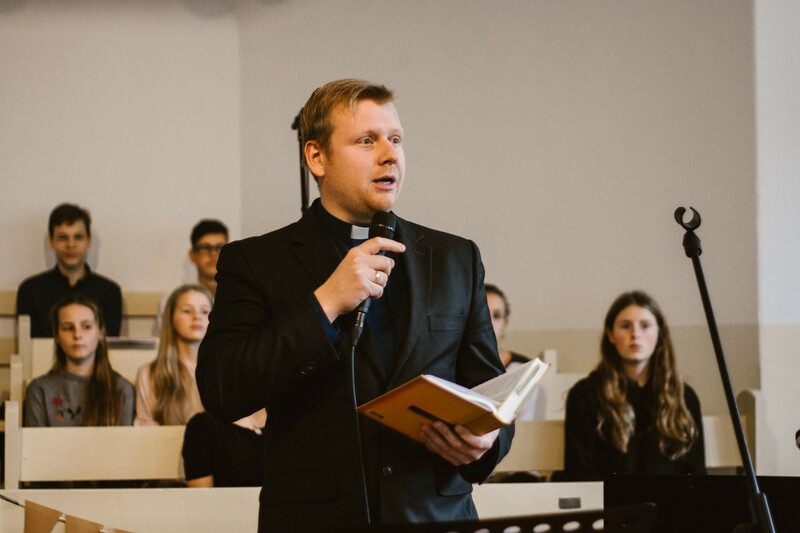 Talsi Baptist churches pastor Miervaldis Lindmanis spoke to the younger children, however, pastor Andis Ķivicis addresses all the older students from grades 6 -12 about the significance of the harvest season in the second worship service. 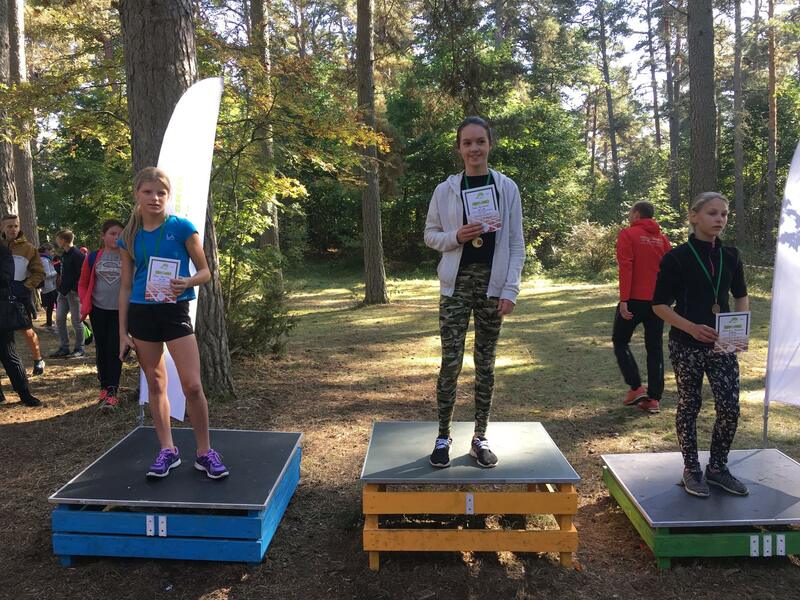 Talsi Christian schools very own teacher Anda Bernāte gave her testimony, while two girls from the 10th grade Santa Straume and Laine Kleinhofa-Prūse, who spoke more about their experiences in our school’s summer camps. All the songs in the services were performed by our school’s choir. 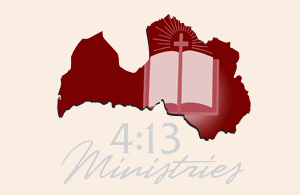 All the donations we managed to collected will be gifted to an animal shelter in Talsi called “Ausma”. Many thanks to all who donated, even a little, because we managed to collect 274 euros together! 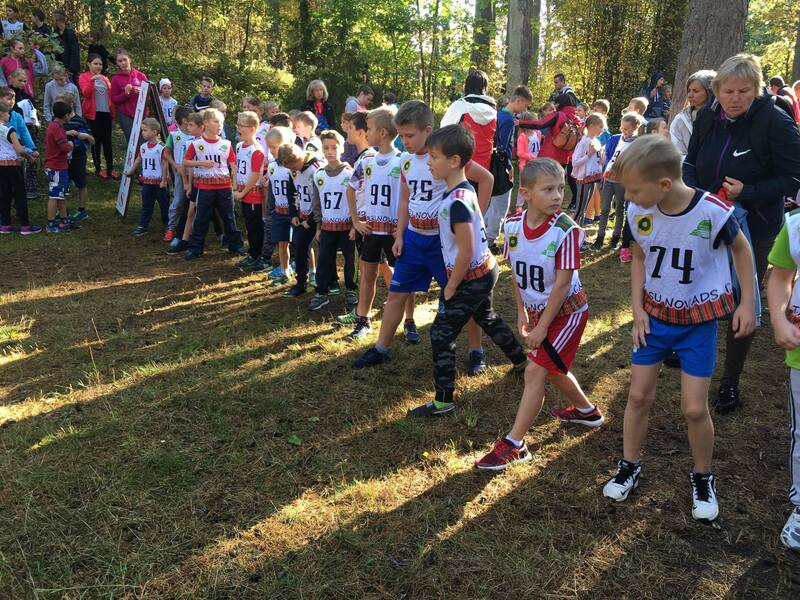 On September 29th, Talsi Christian School greeted the autumn season with open arms. 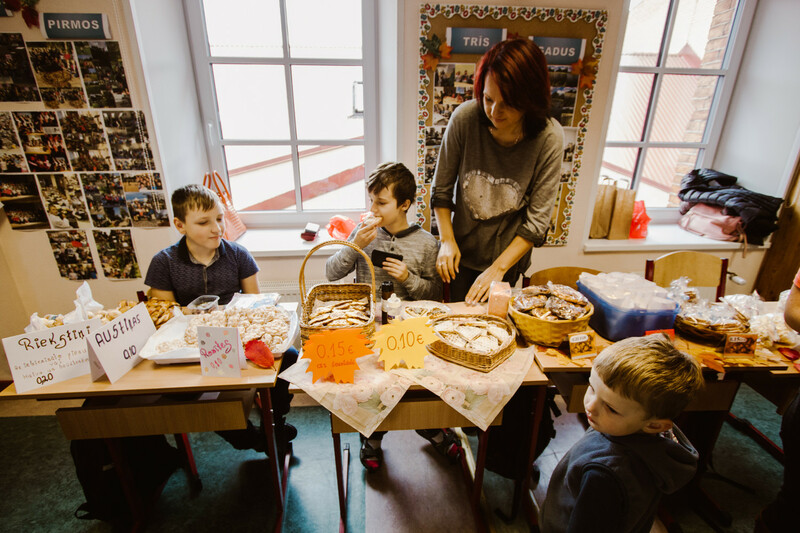 On this particular day, students from Grades 1 – 4 prepared a variety of baked goods to be sold at the annual school autumn market. 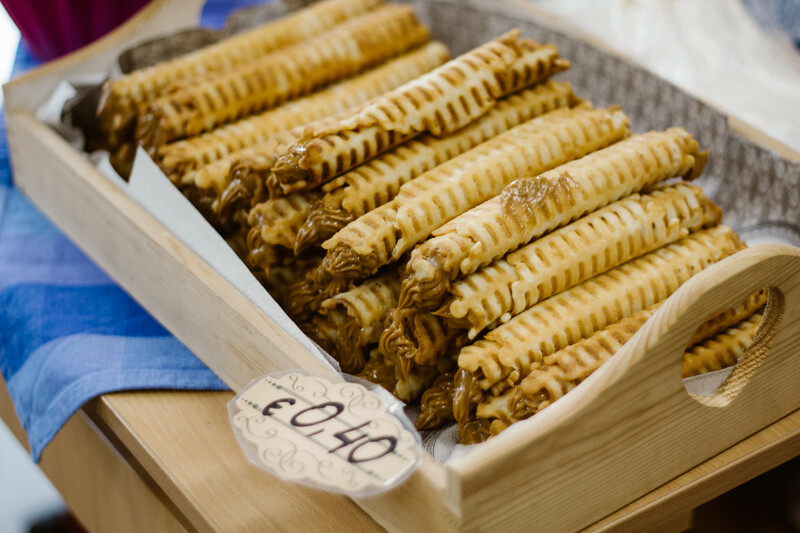 This market has been a school tradition for many years, allowing younger students, along side their parents, to delight their older schoolmates with a variety of homemade delicacies and crafts. 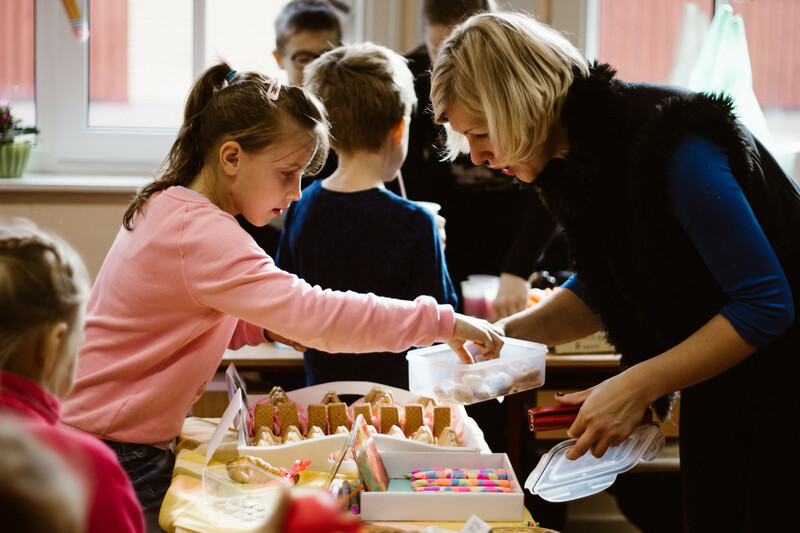 This years attendance was rather large, allowing students to sell all their products to their school peers, teachers, staff and other interested parties. 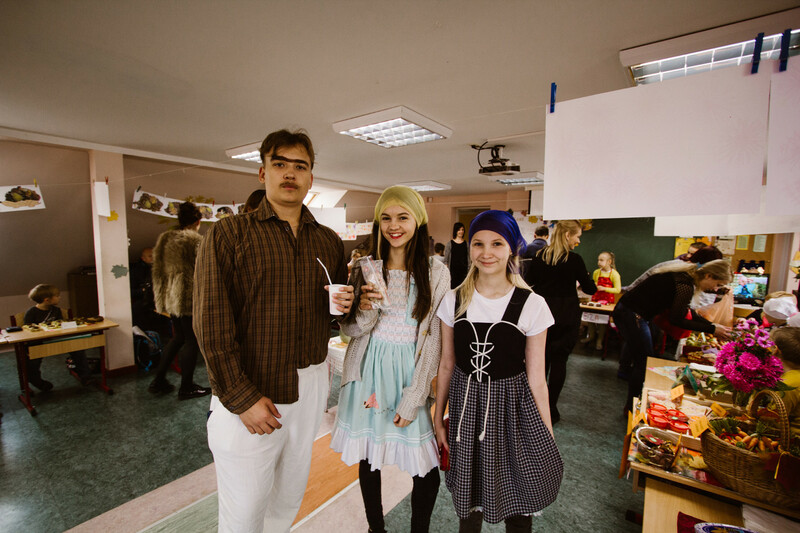 To make matters even more interesting, the school market was visited by a rustic and outlandish family, played by some older students. 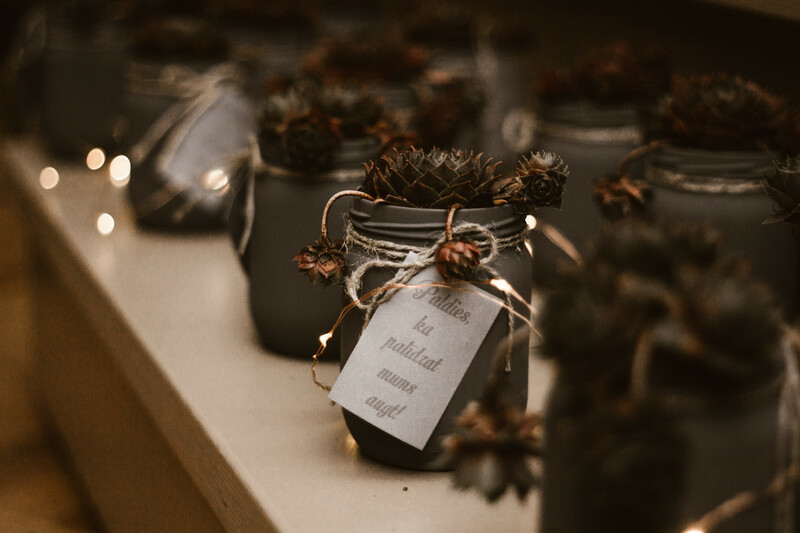 A family member was present in atleast one classroom to make the atmosphere seem even more interesting for both sellers and buyers. The autumn fair delighted everyone taking part . 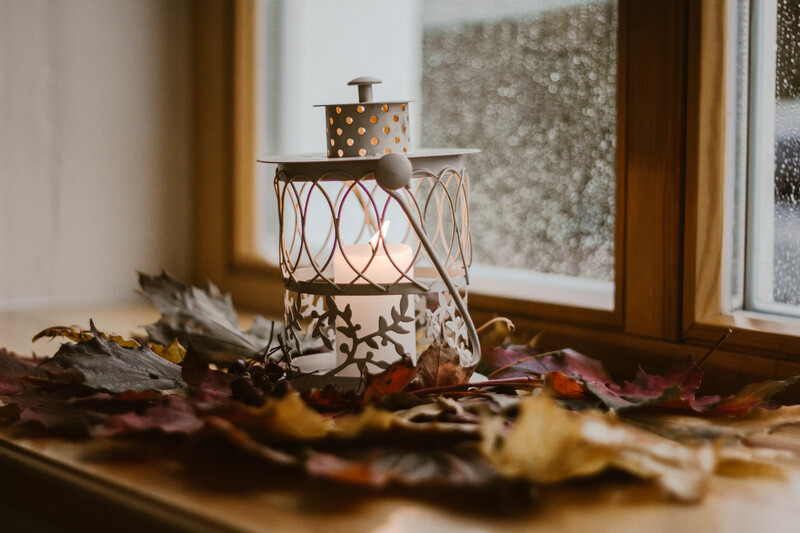 The pleasant and fun atmosphere created during the event was a marvel to behold, and firmly entrenched to everyone that a rich fall season had begun. 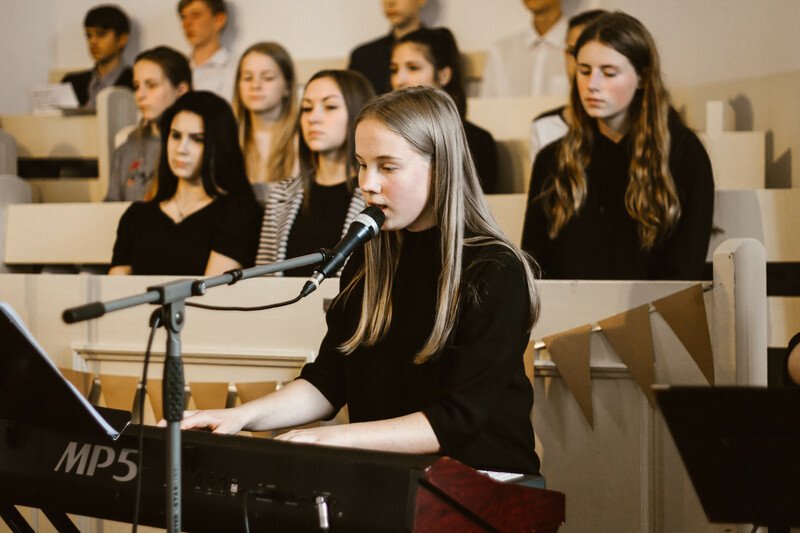 On the 1st of March, 2017, Talsi Christian Secondary School’s gym was acquired gorgeous and solemn presentation, because there was an annual song contest – school’s Pop – street. To make the event interesting, solemn and different, this year’s Pop – street had Eurovision Song Contest theme. 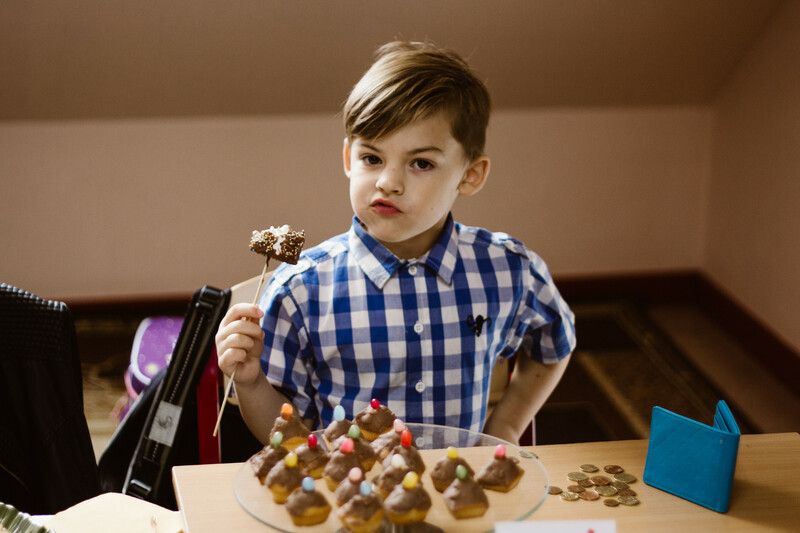 Within three weeks students were able to prepare one of the raffle songs, the best and amusing Eurovision songs of all time. All classes had prepared magnificent performances that were made with great job. On the stage, visitors saw artists from all over the world. The event was opened by group “Bucks Fizz” with their song “Making Your Mind Up”. They were also the presenters – Līga Sidere (grade 12), Luanda Miķelsone (grade 11), Rudis Rūdolfs Zaurs (grade 11) and Kārlis Rorbahs (grade 12). 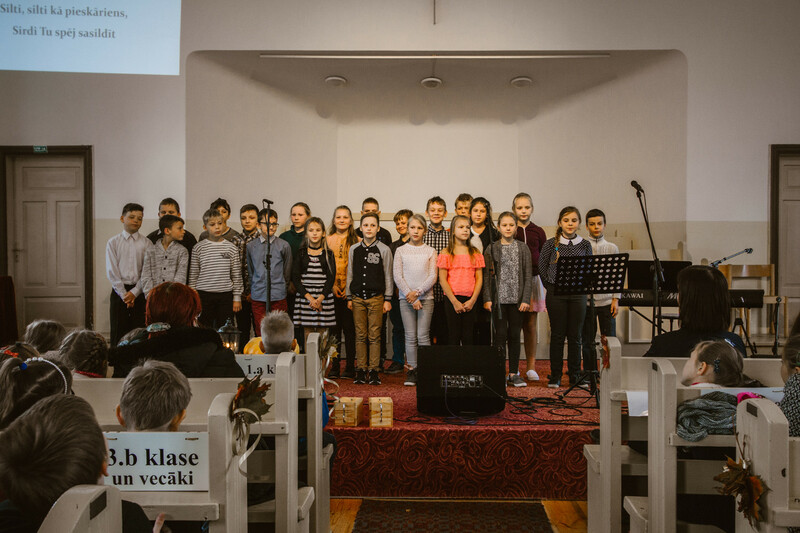 In Talsi Christian School’s Eurovision Song Contest Latvia was represented by group “F.L.Y.” (grade 4), group ”Aarzemnieki” (grade 7) and the new home-grown talent – Justs (grade 2a), who received a special sympathy prize. There were also other countries, that were on the big stage. With amusing performances singer Alf Poier (grade 9), and groups “Todomondo” (grade 6a) and “ABBA” (grade 5) were entertaining us. 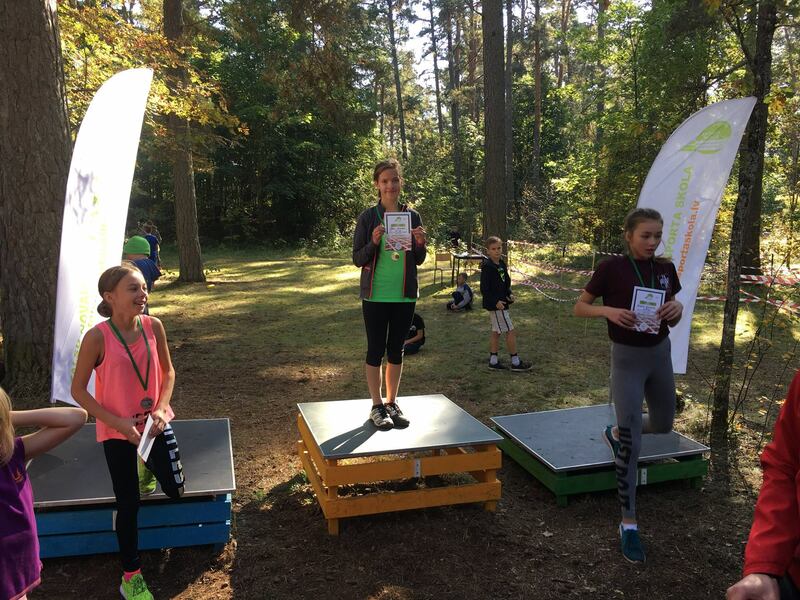 Attractive and colorful performances were prepared by Alexander Rybak (grade 6a), Verka Serduchka (Grade 11) and Daz Sampson (grade 2b). Members of the jury – a photographer and artist Aivars Vilks, youth organizations activist Ināra Ņesterova and a musician Mārcis Felšs – ruled that the 1st place in group from grades 1 to 6 should won Latvian representatives of the “Pirates of The Sea” (grade 3) with their song “Wolves of the Sea”, while the song “Leto Svet” which was performed by Estonian musicians’ Kreisiraadio” (grade 8) should win the first place in group from grades 7 to 12. As guest artists in this year’s Pop – street there were all Russian’s favorite “Buranovskye Babushki” and Japanese comedian with colleagues who performed an Internet sensation – the song “Pen-pineapple-apple-pen”. 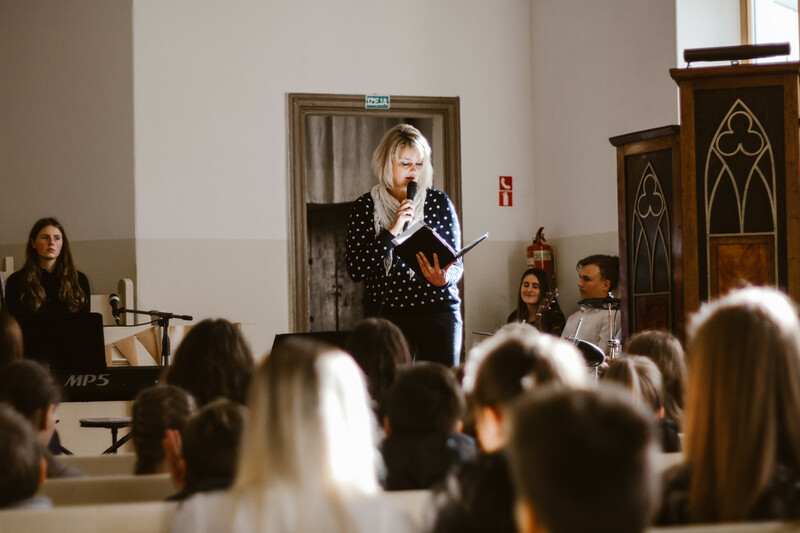 Talsi Christian Secondary School’s Eurovision song contest gave positive emotions, smiles and a chance to change the daily school’s routine to every student, teacher, staff member and guest.